The Australian Information Industry Association (AIIA) recently announced the NSW winners of its 2015 iAwards program. The annual industry awards saw many from the ICT industry get honoured for their efforts. The successful winners and merit recipients beat more than 60 nominations submitted across all categories and will go on to compete at the national iAwards due to be held in Melbourne between August 25 and 27. 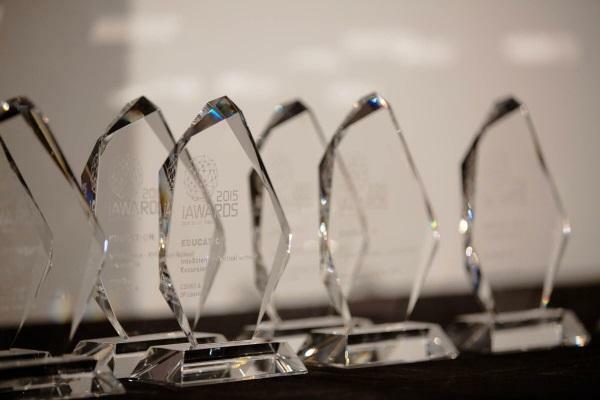 Winners of the 2015 NSW iAwards were presented across six domains and 18 categories. In the development category, Aquaria by CSIRO and Garven Institute won the research and development award; PayDirect by MYOB won new product of the year; and Maestrano by Maestrano nabbed the start-up award. Under the industry category, AutoBagDrop by ICM Airport Technics took home the industrial and resources award; Payreq by Payreq nabbed the financial award; while Maestrano by Maestrano was awarded the applications, tools and platforms award. For the service category, Cricket Australia Live Streaming by Accenture Australia and Cricket Australia won the consumer award; IntoScience - Virtual school excursions by CSIRO and 3P Learning won the education award; National Map by National ICT Australia and the Department of Communications and Geoscience Australia won it for government; and Population Health Intervention Management System by Ajilon Australia and NSW Health took home the health award. For the society category, COVIU, Digital Service Delivery Platform by Coviu and National ICT Australia nabbed the regional, inclusions and community award; while BuildingIQ by BuildingIQ was awarded the gong for sustainability. In the under-25s Hills Young Innovator of the year category, When That by Callum Predavec was awarded the Cloud award; SMS Secure by Andrew Suber won the mobile award; while Foodbank Local by Brad Lorge was awarded the gong for data. In the students category, Bin I.T! by Mosman, North Sydney Girls and Sydney Boys High Schools won the secondary division while Yalut: Privacy - Aware Mobile Social Networking System by NICTA and University of New South Wales nabbed it for the postgraduate tertiary division. Intel A/NZ managing director and chair of the iAwards steering committee, Kate Burleigh, said as the standard of work and ideas improve year on year, the iAwards continue to showcase the best in the industry. “This year’s entrants blew us away with their innovative ideas and creative thinking, and it is thrilling to see minds like these contributing to New South Wales innovation. We are excited to see the New South Wales winners compete at the national level in August,” she said. Deputy Secretary for Service Innovation in the NSW Government, William Murphy, said the awards had revealed an incredible showcase of local innovation, entrepreneurship and fresh ideas. Minister for Innovation and Better Regulation, Victor Dominello, added that the event was an opportunity to recognise the state’s leaders in innovation and technology. “Events such as iAwards play a pivotal role in fostering an advanced ICT economy, and it is wonderful to see some of the country’s brightest minds being recognised for their leadership,” Dominello said. Burleigh said the calibre of entrants for every single domain was of high quality and this increases every year. “The industry is getting more competitive and complex so it’s only natural that you would get even better entrants than the year before. You’re seeing people develop across the research domain, software solution domain, start-up domain, etc. There’s no limit to the type of ideas,” she said. She added that the Australian economy is entering a critical phase, in going up against disruptive trends from multi-national companies and other trends that are disrupting traditional businesses in Australia. “Part of that disruption is being driven by ICT but the only solution to that disruption is another great ICT idea. The iAwards facilitates that and at Intel, we want to support the current generation of people in Australia that are doing interesting stuff in the IT industry. “Sometimes, we don’t highlight achievements coming out of Australia enough and the iAwards is one positive way we can do that,” she claimed. The national iAwards winners will be given the opportunity to compete on a global level with businesses from across the Asia-Pacific region at the Asia Pacific ICT Awards (APICTA), in Sri Lanka from November 18 to 22. “It will be a great night of celebration but more than anything, a celebration and showcase of some of the greatest talent we have in the industry today,” Burleigh added.